The International Union of Psychological Science (IUPsyS) was established in 1889 during the First International Congress of Psychology in Paris. 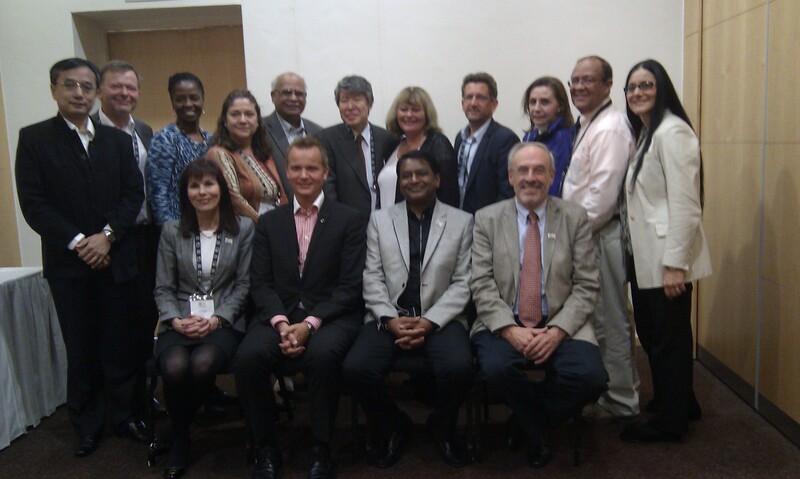 With 82 country members and 20 affiliated organizations the IUPsyS represents over a million psychologists worldwide. As such it acts for psychology in its full breadth as a science and as a profession. The mission of the IUPsyS is "the development, representation and advancement of psychology as a basic and applied science nationally, regionally, and internationally" (Article 5, IUPsyS Statutes). Saths Cooper highlights the IUPsyS activities and impacts during 2014 in his year end message (published on the 5th of January 2015). To enhance and promote the development of the science and profession of psychology. To exchange ideas and scientific information between psychologists of different countries. To organize the International Congresses of Psychology and other meetings on subjects of general or special interest in psychology. To contribute to psychological knowledge through publishing activities. To foster the exchange of publications and other communications among different countries. To foster excellence in standards for education, training, research and the applications of psychology. To enable the development of psychological scientists and national associations through capacity building activities. To foster international exchange, especially among students and young researchers. To collaborate with other international, regional, and national organizations in matters of mutual interest. Publishing many documents such as The International Journal of Psychology; a book series, the IUPsyS Newsletter, and the monthly Bulletin. Organizing or co-sponsoring Regional Conferences of Psychology, aimed at promoting psychology and addressing psychological issues and themes of special relevance to the region. Sponsoring and accomplishing projects that foster the development of the science and practice of psychology, such as the workshop on psychology education and training (2012), and that promote international and professional cooperation. Hosting the global information source Psychological Resources Around the World. Developing international networks to facilitate international and professional cooperation. Serving IUPsyS National Members through publications, information dissemination, programs of events, and development of support and guidelines. Serving the discipline of psychology and development of its common core by working to develop guidelines in areas of education and training, ethics and the responsible conduct of research and professional practice, as well as granting "Awards" to support the discipline by giving public appreciation to excellent scientists and their work. Providing access to the IUPsyS archives is another service to the discipline. Participating in major international organizations, including the International Council for Science, the International Social Science Council, UNESCO, the United Nations, and the World Health Organization. Production of an Annual Report by the Secretary-General that includes a summary of the activities of the IUPsyS for the previous year.